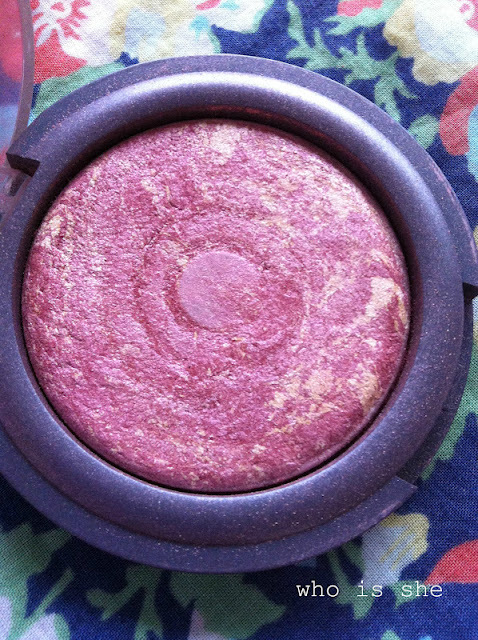 Its about time this blush deserved a post of its own, and today is the day. Oh before I forget I’ve got that many beauty posts saved in my drafts, “Who is She” is on a beauty fortnight, so every day until the 10th April there will be some sort of beauty-related post. Anyway, I’ve lost track of the amount of times I’ve mentioned this on the blog, and as I’ve finally hit pan I thought I would do a review. This is my go to blusher on a morning for work- I wear this religiously on a Monday-Friday. 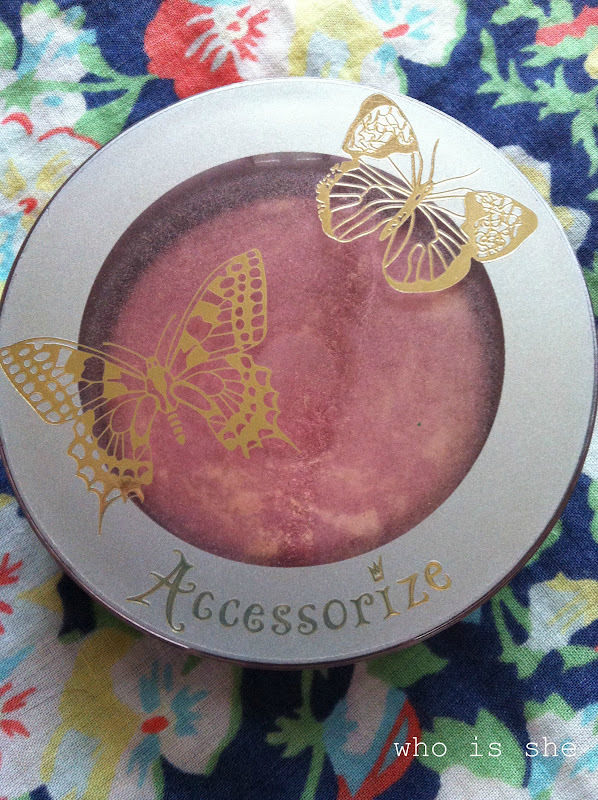 Accessorize baked blush in Scandal (number 5). 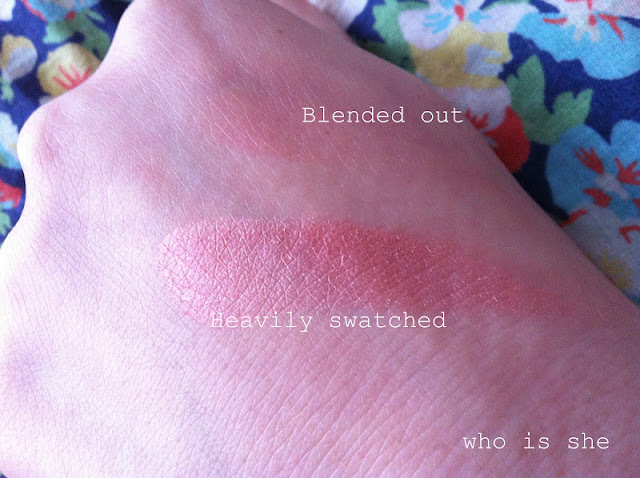 As you can see the blush itself is MASSIVE, and is identical to Mac Mineralized blushes just without the price tag. I would describe this colour as a shimmery pinky/coral shade, but leaning more towards the pinky side. Yes I've nearly hit pan. This product has lasted me practically a year as the colour payout is so great, you only need a tiny bit. I never bother with foundation on a morning, so its just this on my cheeks, and it lasts from 7am until about 3pm without needing to be touched up. Plus as I’m at work and there is zero talent, there really isn’t any need in me to touch up. I normally apply this using a small kabuki brush- I think you can spy it in my blusher drawer on my make up storage post. If you are looking for a purse friendly blusher I can’t recommend this blush enough, would I repurchase- most definitely. However I do think I need to use some of my other blushes up before repurchasing. If you live in the North-East I know Superdrug at Newcastle, Metro Centre and Middlesbrough stock Accessorize make up. Normally I go to Metro Centre as the stock range is much better. Just go and buy it you won't regret it. Hope your all enjoying the sunshine! !